Every day we see strategies that are working and delivering results in a rapidly changing world. This Evidence in Action blog series highlights the voices of social innovation organizations and spotlights effective interventions in communities across the country and evidence-based policy and practice leaders to elevate both the results-driven solutions being advanced to help solve our most pressing social problems and to describe the evidence-based federal programs that are critical to developing and scaling effective human and social services. Today we hear from Clara Haskell Botstein of Bard Early Colleges about the value of investing in early college programs. The U.S. Department of Education recently released its priorities for discretionary grant programs and, in an encouraging move, included an expansive definition of educational choice that includes early college high schools. Early college high schools (early colleges) provide students the opportunity to earn transferable college credits up to an associate’s degree, free of charge, alongside a high school diploma, and they have a strong evidence base demonstrating their impact on participants’ college enrollment and degree completion. Because they are free for students, early college programs have costs above those of traditional high schools, including the expense of college courses, books, and materials. Public funding is needed to sustain early colleges, to allow early colleges to expand to meet the high demand, and to enable more students to complete college, rather than walk away with limited credits and significant debt, which is too often the reality, especially for students from disadvantaged backgrounds. Early colleges can make the critical difference between “some college” and degree attainment. Early colleges rethink American public secondary education and provide tailored educational opportunities that contribute directly to students’ success in their next step – postsecondary education or the workforce. Therefore, the U.S. Department of Education’s recognition of early colleges’ place in the landscape of educational choice is important. A broadened vision of educational opportunities within public education can help us move away from the politically charged school choice debate around charters and vouchers. We should focus on what can and should change within schools and classrooms to better address students’ needs and interests and how they learn as individuals, as well as how best to prepare students to access, afford, and complete postsecondary education and contribute to the workforce and civil society. To have effect, this vision must be coupled with federal funding and incentives for states to invest in early college and other evidence-based models; without that investment, access to high-quality early college high schools will remain limited to students in a few states and districts scattered across the country. Thanks to the support and leadership of the Cleveland Metropolitan School District and local foundations, Cleveland is an example of a district where access to early college education is rapidly growing. 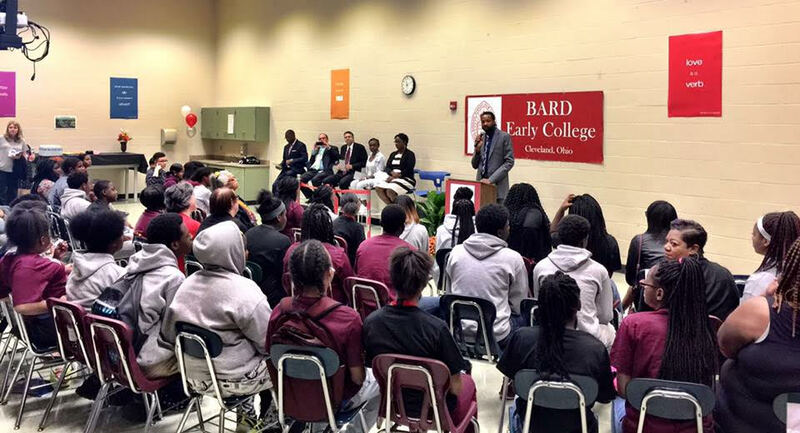 This fall, Bard College, the largest early college provider in the city, opened its second Bard High School Early College Cleveland campus, part of a push by the district to innovate and increase the number of school options and high-quality seats. By school year 2020-21, Bard High School Early College Cleveland will serve over 900 students (from its current enrollment of approximately 500), out of a total high school population of just over 11,600 – nearly eight percent of the Cleveland school system’s high school population. 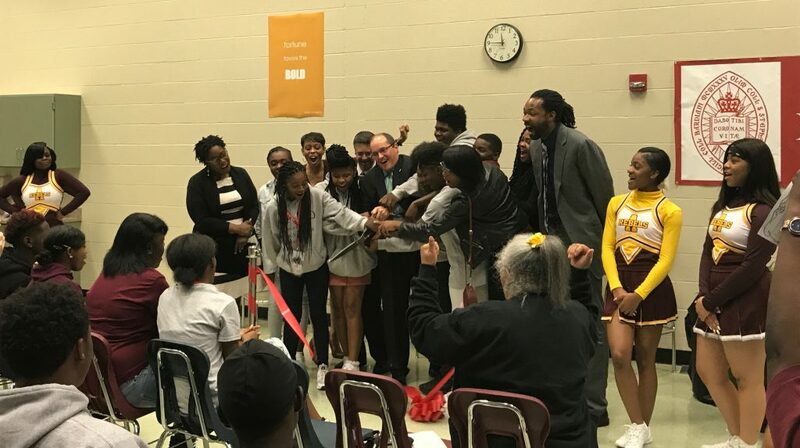 The founding ninth grade class of Bard High School Early College Cleveland West will graduate this year, and the results are impressive; over 75 percent of students are on track to earn an Associate’s degree alongside a high school diploma, and over 95 percent are on track to earn a diploma and transferable college credits. These students are prepared to transfer into and complete degrees at four-year colleges and universities in and outside of Ohio. With their liberal arts and sciences training, students will leave Bard High School Early College Cleveland with a strong, broad foundation of knowledge and skills, including writing, analysis, critical thinking, and communication, as well as a love of learning and an appreciation of ideas and reasoned debate, all of which will help them be effective contributors to their professional fields and in civic life. The Department of Education’s grant priority around a broad conception of educational choice, including early college high schools, is an important step that echoes the bipartisan swell of support for these programs, demonstrated by the inclusion of early college high schools in the Every Student Succeeds Act (ESSA). These are important policy levers to enable more districts and states to make an investment in differentiated, evidence-based educational models that engage and challenge students, help them achieve postsecondary and career success, and strengthen our democratic society. With Carl D. Perkins Vocational and Technical Education Act as well as the Higher Education Act reauthorizations on the horizon, let us hope this represents the first steps towards universal access to high-quality early college and dual enrollment, so that every student who wants to go to college is given the foundation and exposure in high school to do so successfully.